This past Saturday a few members of the Irvington Fire Department helped members of the community build the Community Playground at the Main Street School. 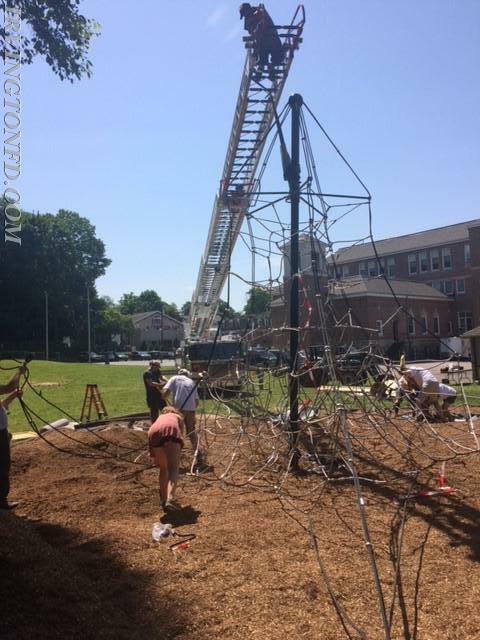 Ladder 36 was used to provide support in order to stand up the new climbing structure. Kids (and adults) can't wait to use the new structure already!